How Far is Hema Sri Sourya Nirman? 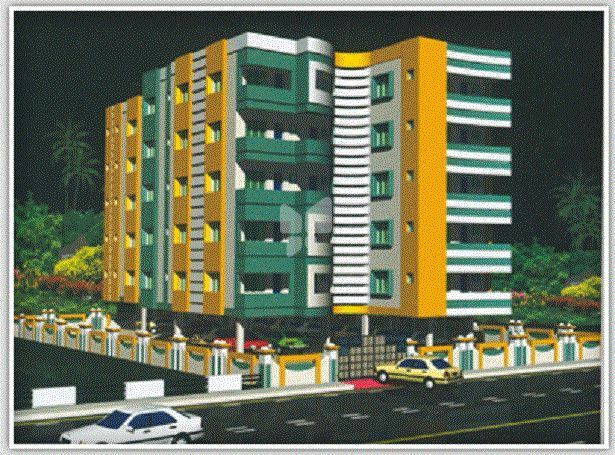 Hema Sri Sourya Nirman is one of the popular residential developments in Resavani Palem, neighborhood of Visakhapatnam. It is among the completed projects of its Builder. It has lavish yet thoughtfully designed residences. Plastering : All internal walls with neat cement plastering & putty finish. WARDROBES : Provision for wardrobes in bedrooms, living and kitchen. Windows : Well seasoned Kamba wood frames with fully glazed Shutters and M. S. safety grills with anodized aluminium fittings. Toilets : WhIte Glazed tiles dadoing upto 5' height with good qualrtywhite coloured Indian/European water closets and wash basing fitted with good quality chromium plated fittings. Electrical : Concealed copper wiring in each unit WITh adequate power points. Provision for geyser, A.C, lV, and telephone point in each flat.